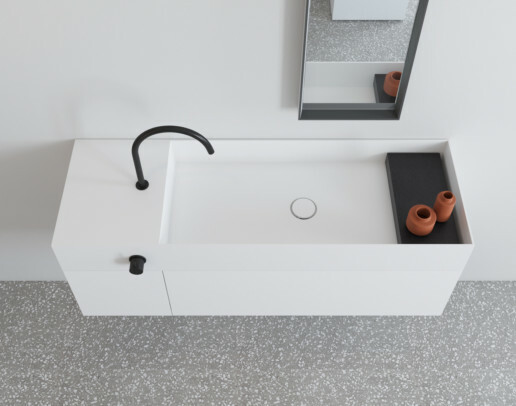 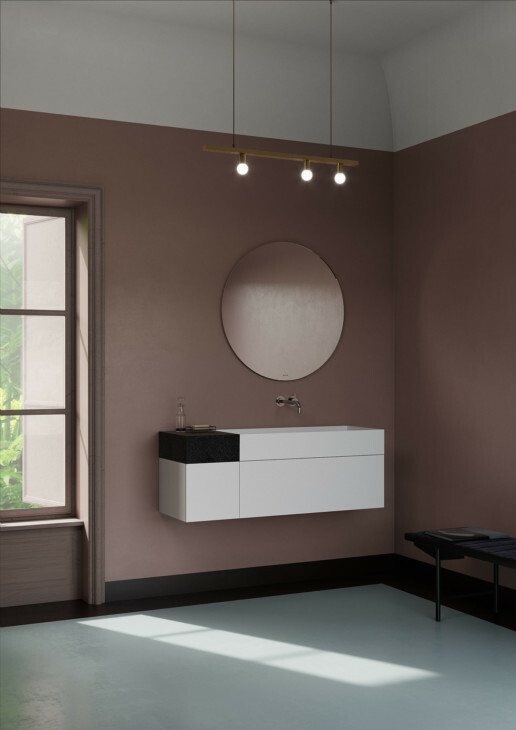 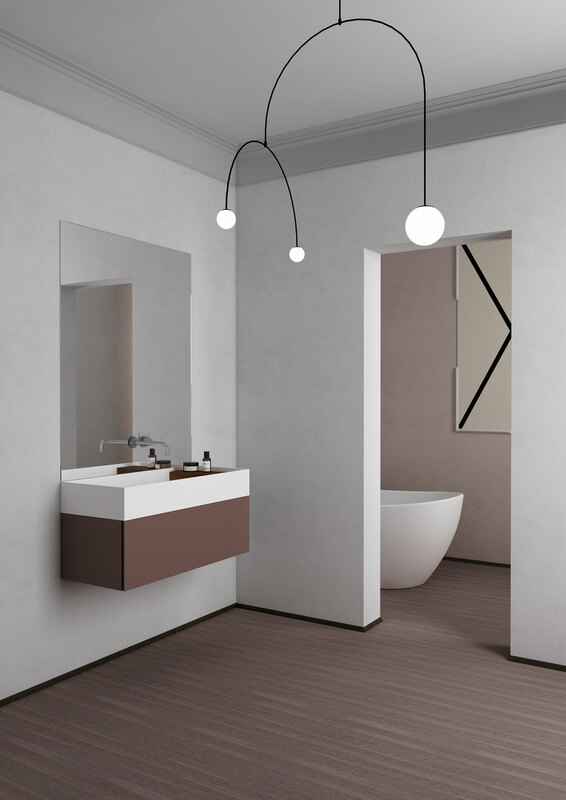 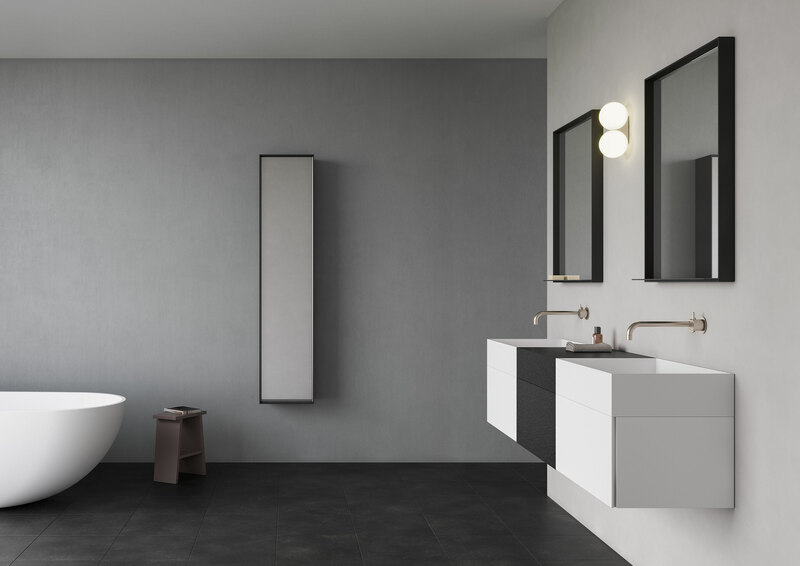 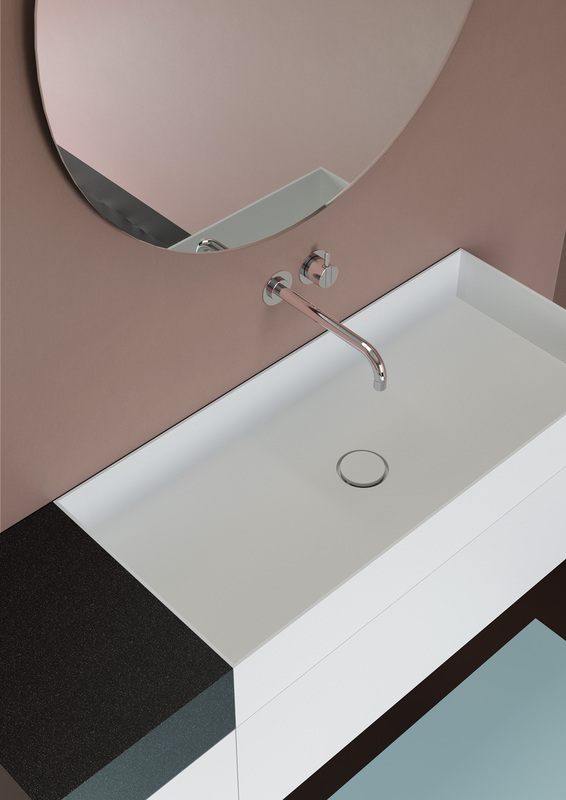 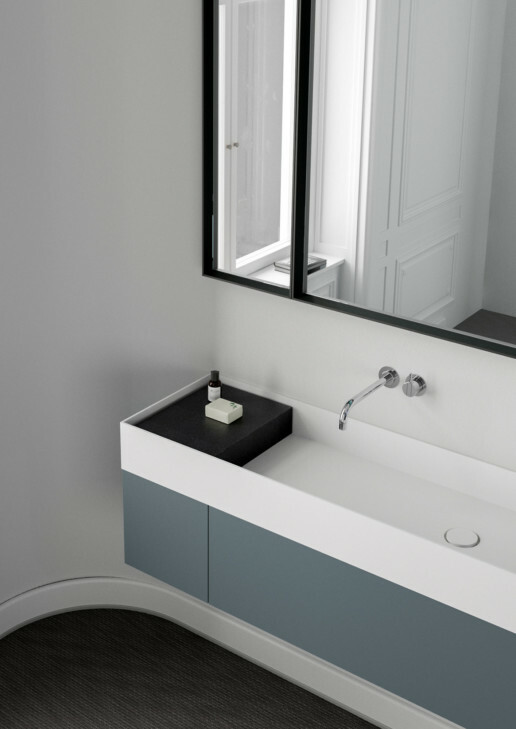 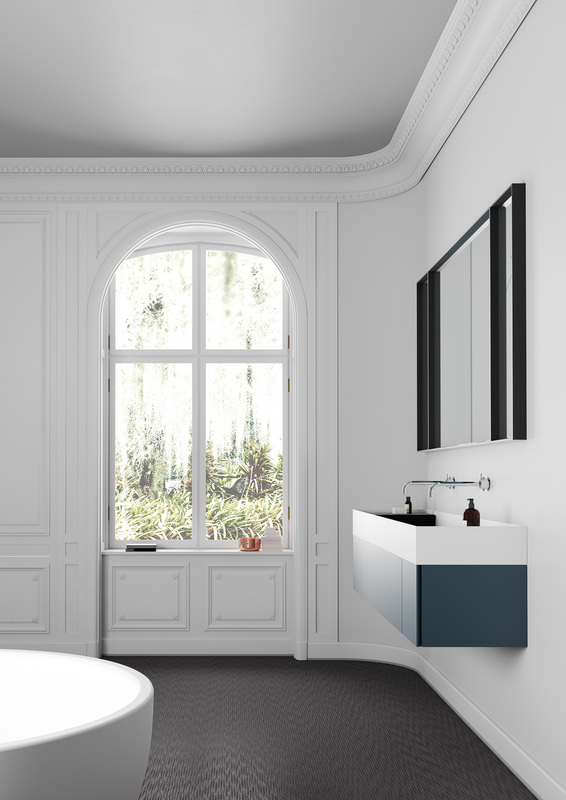 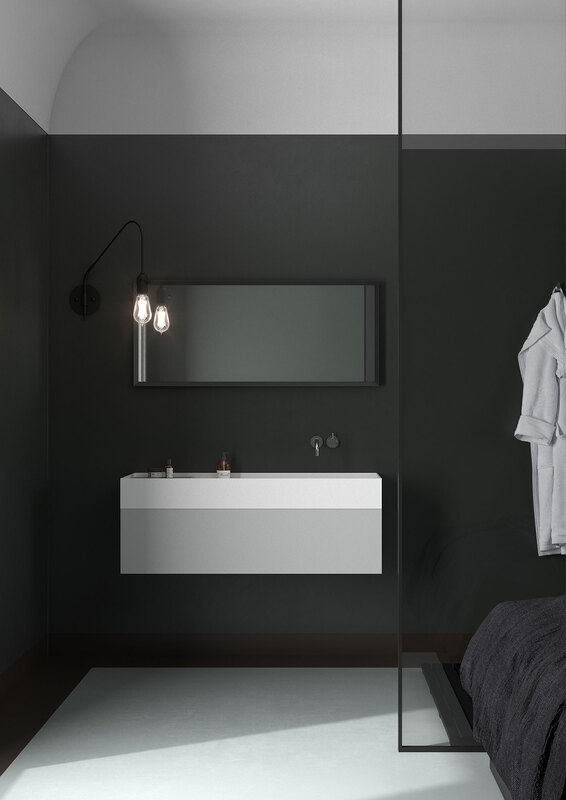 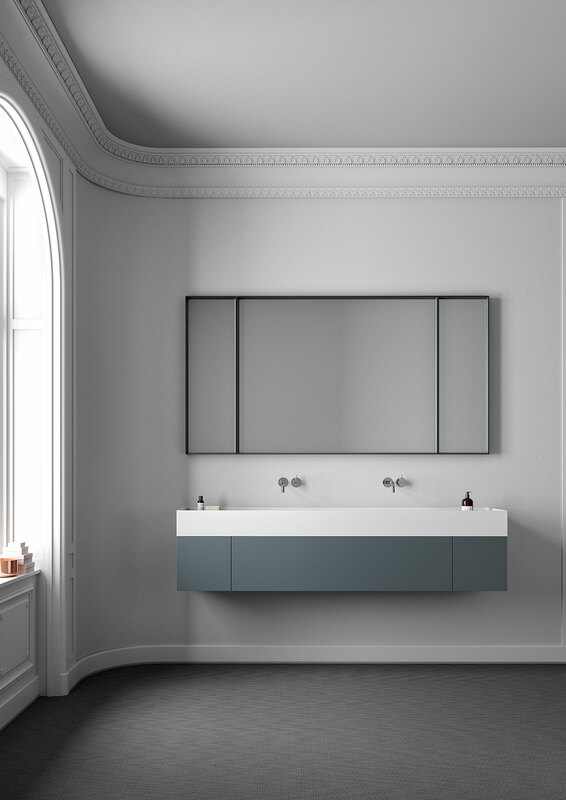 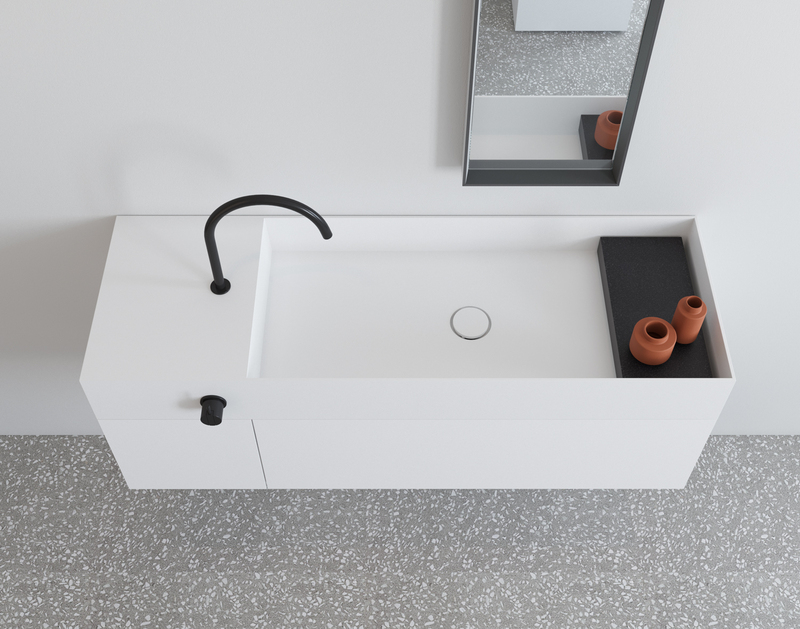 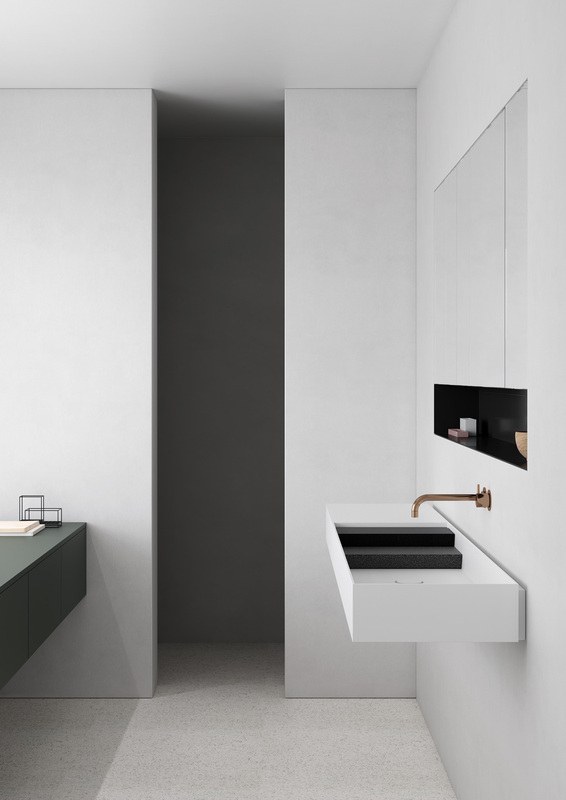 Cor is a bath program generated by wash basins, cabinets, mirrors, and accessories. 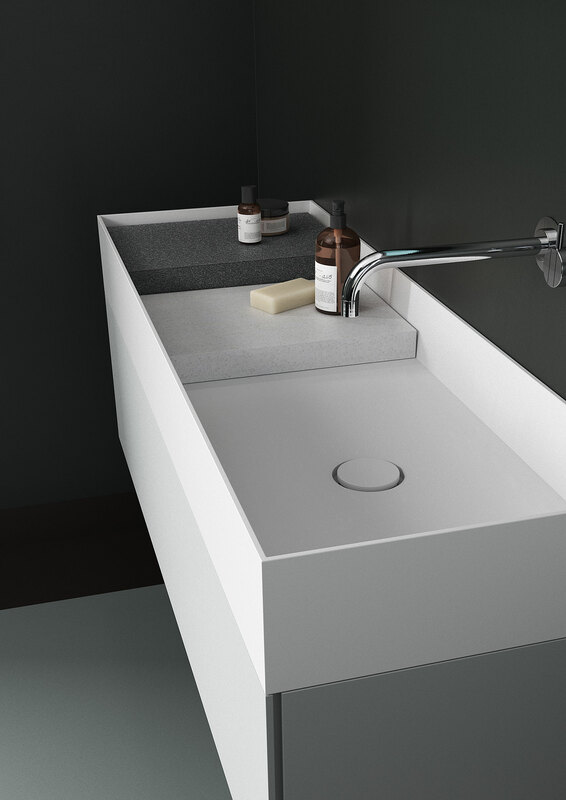 Its main concept is to generate a big personal space for every day, customizable for everyone. 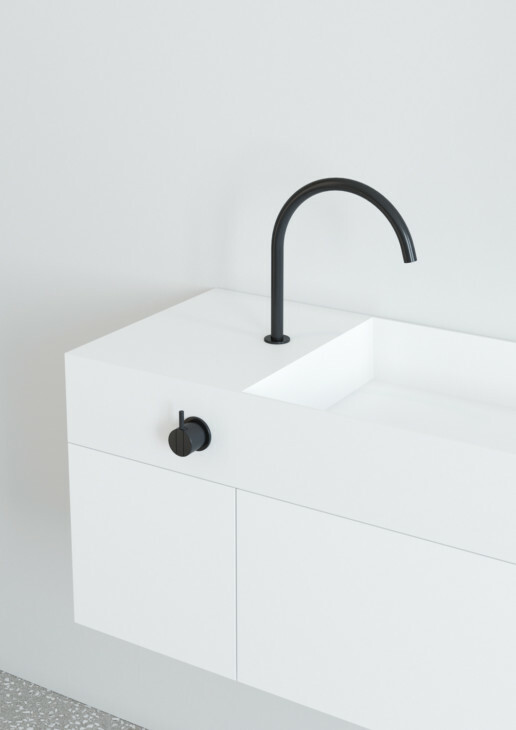 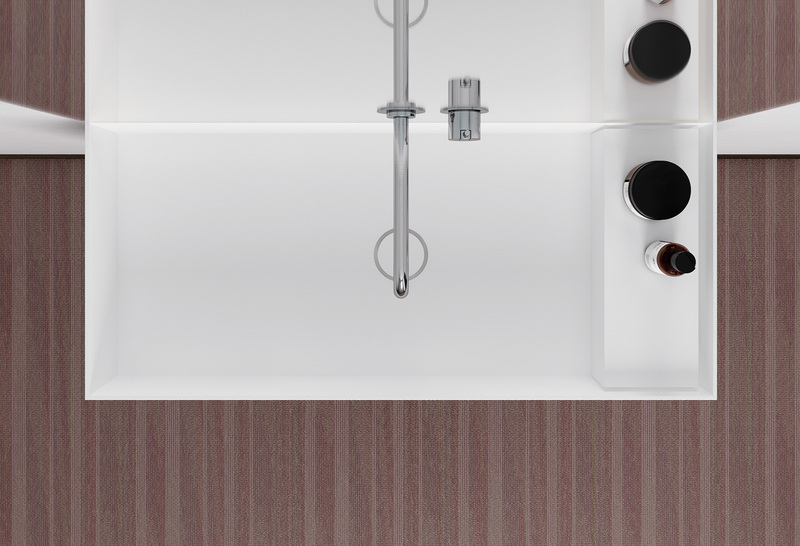 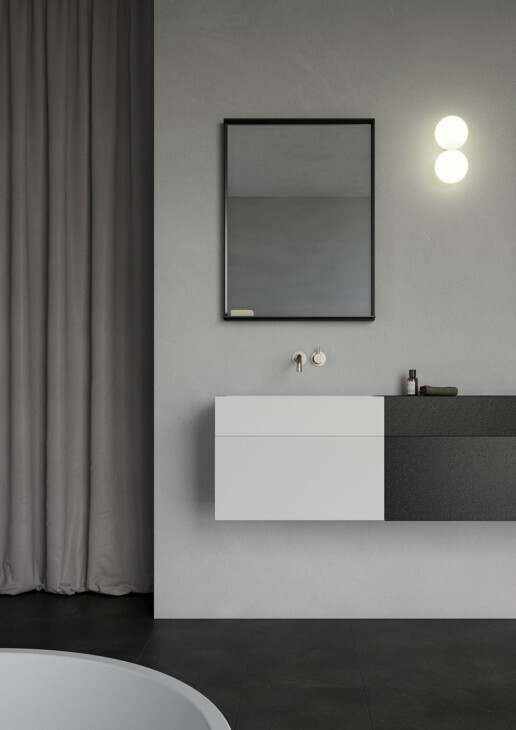 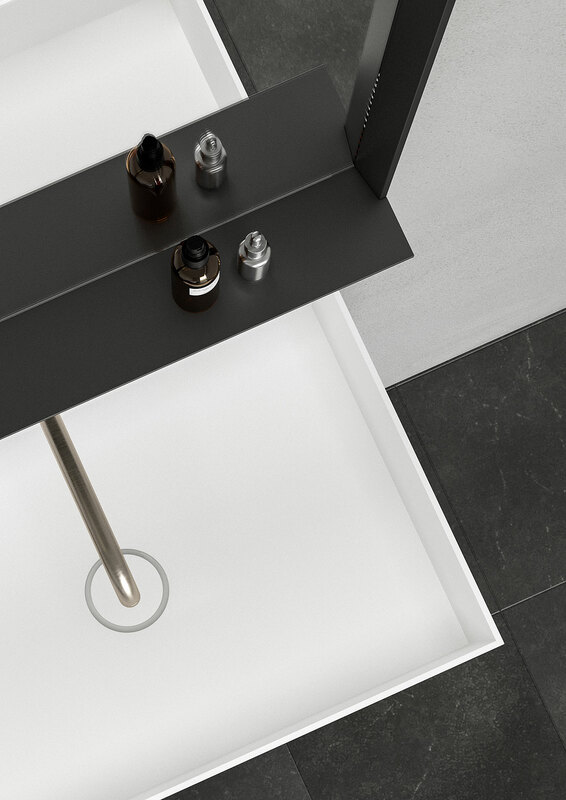 User-centered design has been applied from the early concept to create a multipurpose system that plays with trays and cabinets generating expressive solutions, as well functional and aesthetically. Built in Corian®, every element of the program has been solved with the minimum thickness and the maximum expression. 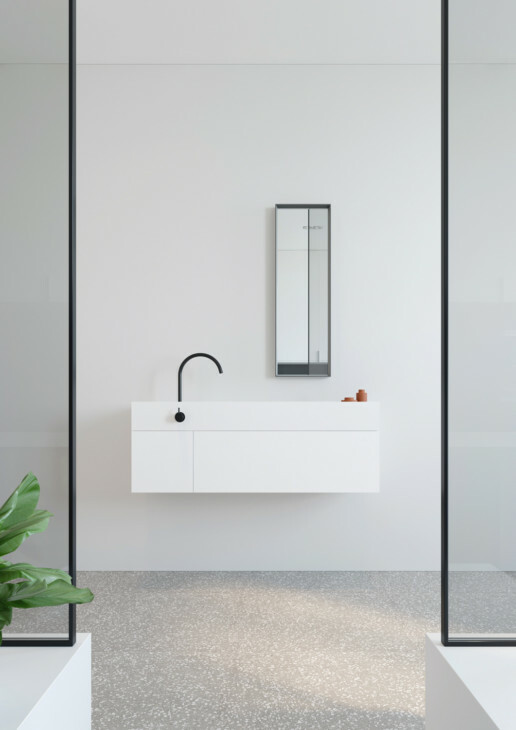 Its architectural character, its rigorous sobriety and its modular concept allow fitting any system composition in any kind of contract or residential project.